The purpose of the Supply Chain Code of Ethics is to define acceptable behaviours and standards that should be common for everyone involved in supply chain activities at Wilfrid Laurier University. It is not meant to supersede similar codes already in place but to supplement such codes with supply chain-specific standards of practise. The Supply Chain Code of Ethics is relative to all supply chain related activities including but not limited to procurement, contracting, inventory management, planning, logistics/distribution, and accounts payables. All individuals involved with purchasing or other supply chain-related activities must act, and be seen to act, with integrity and professionalism. Honesty, care and due diligence must be integral to the supply chain activities within and between, Wilfrid Laurier University, other BPS organizations, suppliers and other stakeholders. Respect must be demonstrated for each other and for the environment. Confidential information must be safeguarded. All participants must not engage in any activity that may create, or appear to create, a conflict of interest, such as accepting gifts or favours, providing preferential treatment, or publicly endorsing suppliers or products. All individuals involved in purchasing or other supply chain-related activities must comply with this Code of Ethics and the laws of Canada and Ontario. All individuals should continuously work to improve supply chain policies and procedures, to improve their supply chain knowledge and skill levels, and to share leading practices. In March 2008, Ontario’s Treasury Board of Cabinet directed that a Supply Chain Guideline be prepared and, as of April 1, 2009, be incorporated into the funding agreements of Broader Public Sector organizations receiving more than $10 million per fiscal year from the Ministries or Health, Long-Term Care, Education and Training, Colleges and Universities. 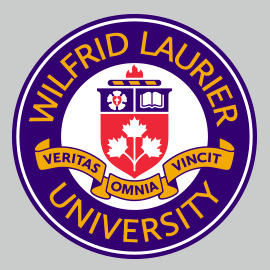 Such organizations, including Wilfrid Laurier University, are deemed to be In-Scope Recipients. Ontario Supply Chain Guideline, Version 1.0, directs that the Supply Chain Code of Ethics be adopted by In-Scope Recipients, by March 2010.